This Valentine’s Day, our client Boustead Securities, LLC, acting as the sole underwriter, completed the initial public offering (the “Offering”) of Soliton, Inc. (the "Company") a pre-revenue stage medical device company with a proprietary platform technology licensed from The University of Texas on behalf of the MD Anderson Cancer Center. The Company raised approximately $10.4 million in gross proceeds from this initial closing, before deducting underwriting commissions and other offering expenses, by issuing 2,086,391 ordinary shares at a public offering price of $5.00 per share. Soliton has been approved to begin trading its shares on the Nasdaq Capital Market under the symbol ”SOLY” on Tuesday February 19, 2019. 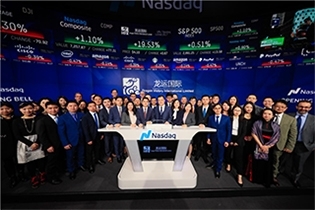 The Offering is the first IPO using Tier II of Regulation A to be completed on Nasdaq or NYSE in over one year. In light of the federal government shutdown commencing on December 22, 2018, the U.S. Securities and Exchange Commission (“SEC”) remains leanly staffed. This has caused delay in staff’s review of registration statements and other filings, and the SEC will not be able to declare any registration statements effective during the shutdown. Nevertheless, regardless of the SEC’s operational status, EDGAR will still accept filings. HTFL’s Client China SXT Pharmaceuticals, Inc. (the "Company") (NASDAQ: SXTC), a specialty pharmaceutical company focusing on the research, development, manufacture, marketing and sales of Traditional Chinese Medicine Pieces ("TCMPs"), announced the final closing of its initial public offering on January 3, 2019. Together with the first closing on December 31, 2018, the Company raised approximately $10.2 million in gross proceeds, before deducting underwriting discounts, commissions and other offering expenses, by issuing 2,546,275 ordinary shares at a public offering price of $4.00 per share. NEW YORK, NY, , June 01, 2018 (GLOBE NEWSWIRE) -- Hunter Taubman Fischer & Li , LLC (HTFL) announced today that its Managing Partner, Louis Taubman, will moderate a panel at The Deal Flow Events Reg A Conference on June 12, 2018 in New York City. The Panel, titled “The State of Reg A,” will discuss the benefits of the Regulation A Improvement Act of 2017, current market conditions and the future of Security Token Offerings (STOs), also known as Internet Coin Offerings (ICOs), using Reg A.
Dragon Victory International Limited, a company that offers reward-based crowdfunding opportunities and quality incubation services to entrepreneurs in China, rung the NASDAQ Stock Market Opening Bell at NASDAQ MarketSite in Times Square on Monday, March 5, 2018. China Sunlong Environmental Technology, Inc. (“Sunlong”) has recently successfully consummated a business combination with JM Global Holding Company (“JM Global”), a Special Purpose Acquisition Company (SPAC). The post-merger Company changed its name to TMSR Holding Company Limited, and continues to be listed on Nasdaq. TSMR’s wholly owned subsidiaries include Hubei Shengrong Environmental Protection Energy-Saving Science and Technology Co. Ltd. and Tianjin Commodity Exchange Co., Ltd.
On October, 25 2017 Luciana Zamith Fischer, partner at Hunter Taubman Fischer & Li, was awarded by IIUSA for outstanding work in obtaining all I-829 approvals and repaying investors as part of BirchLeaf Miami 31, University of Miami Life Science and Technology Park.